That’s what I seem to remember was always the answer that the likes of Percy Thrower and his ilk used to trot out on Gardeners Question Time in the old days. ….. well maybe, but it’s what you put into the soil that is what makes it so good. 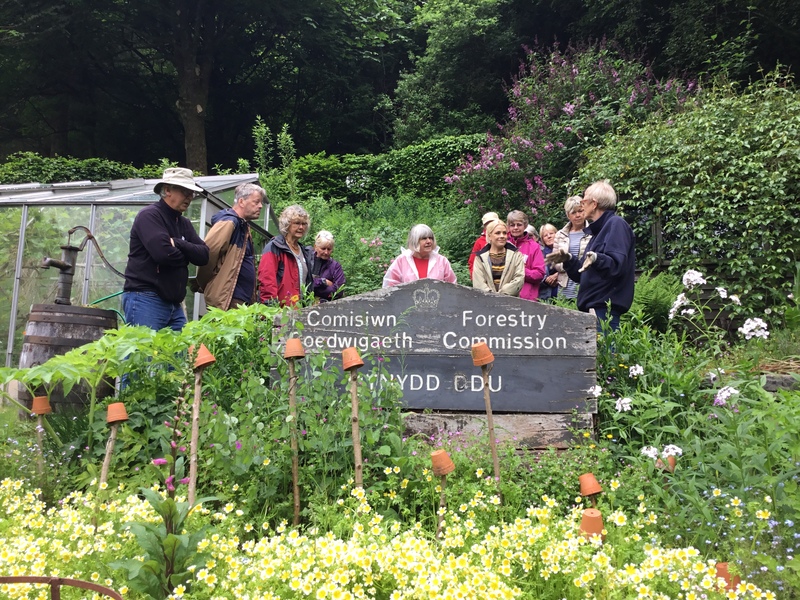 With that in mind Sue held the first of her Compost Making and Using courses here at Nantybedd Garden today. 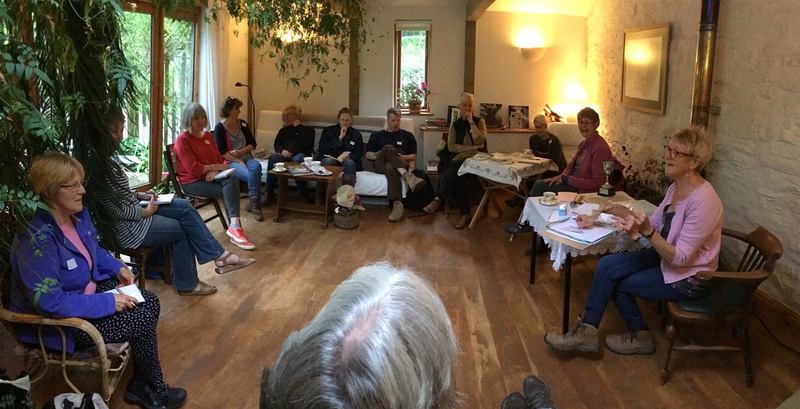 A dozen trusting souls reached deep into their wallets and diced with the timber lorries to spend nearly six hours talking about … Compost! So great was the anticipation that the ‘car park’ was full a good 20 minutes beforehand – maybe lured by the smell of Sue T’s scrumptious cake with the early morning tea. Eventually they settled down to discuss why they felt they needed help. It seemed to be a long talk. 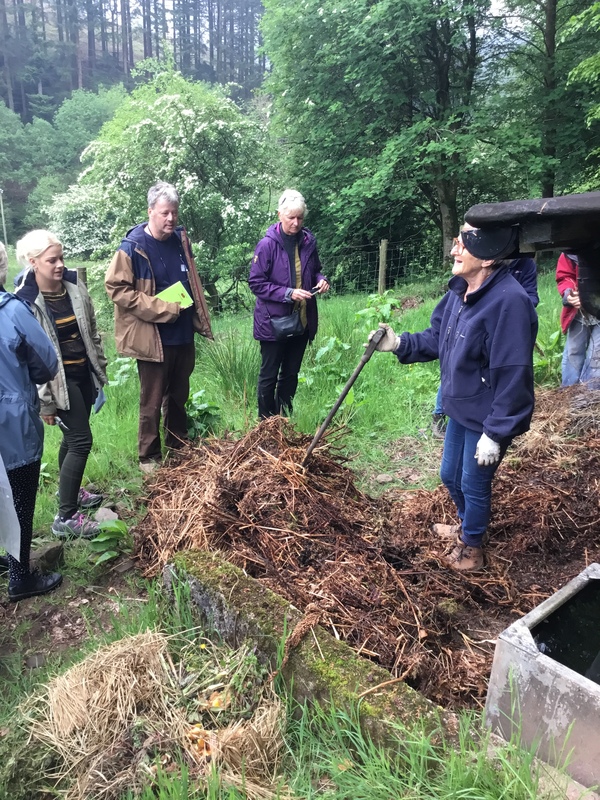 This was followed by a presentation of the do’s and dont’s, the sources of learned composting and how ’tis done here at Nant y Bedd. Fortunately the delicious quiches for lunch were a bit delayed as the discussion around the slides ran over by quite a bit! 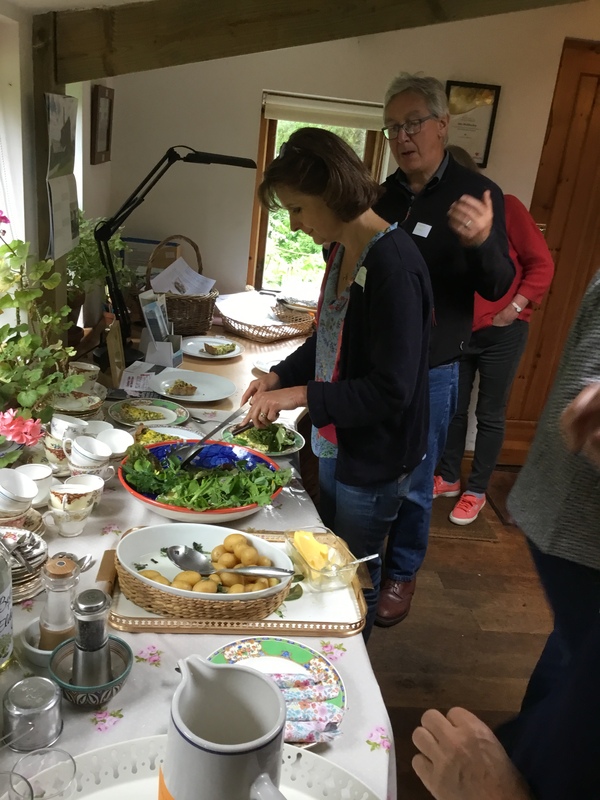 Lunch included not only the aforementioned quiches, with our own eggs and some interesting foraged ingredients, a salad largely gleaned from the garden and yet more scrummy cakes, this time from that multi-talented gardener/ painter and cake maker Caroline. After lunch there was an opportunity to work off the excesses on a tour of the various compost heaps around the garden and an indication of how and where to use compost, leaf mould and other such mulches. 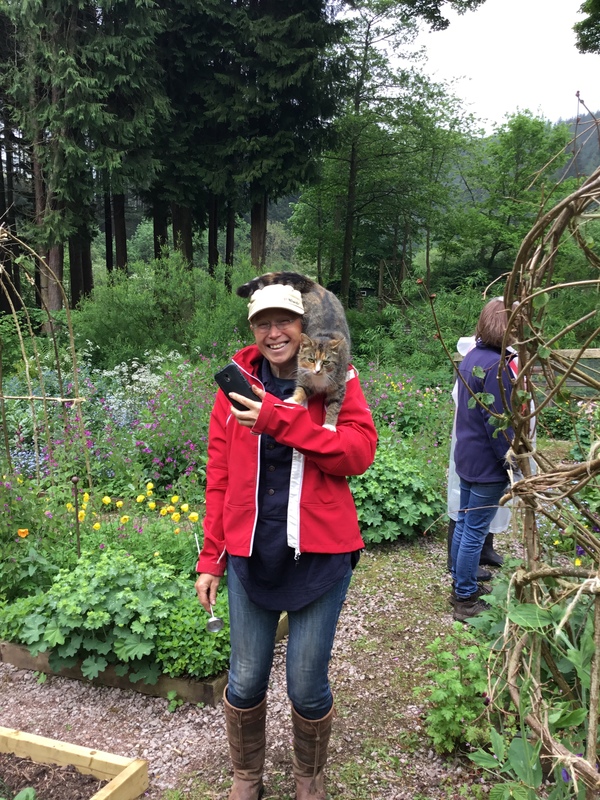 Needless to say the cats got in on the act, with Smudge rounding up stragglers and Oreo hitching a lift. 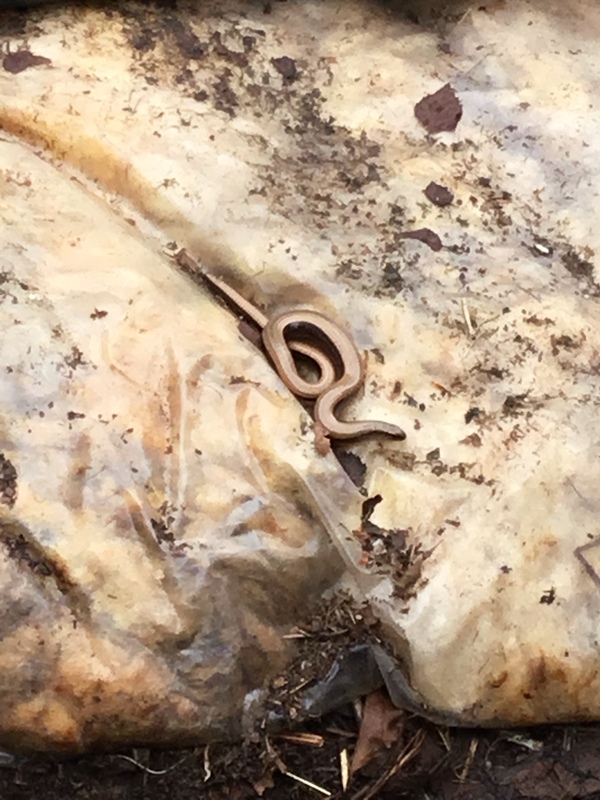 With perfect timing, Sue rolled back the cover on one of the heaps and there was …. But it wasn’t all theory. Over the last few weeks I’ve been instructed to place piles of ‘stuff’ up in the pig field. Now I know why! The assembled company was asked to help in constructing a ‘windrow’, a sort of open compost heap. After this it was back to the garden room to discuss what was learnt. A Nant y Bedd Garden postcard was issued to all present, along with a pencil, to record the three things that each participant would be doing in the future to make better compost. 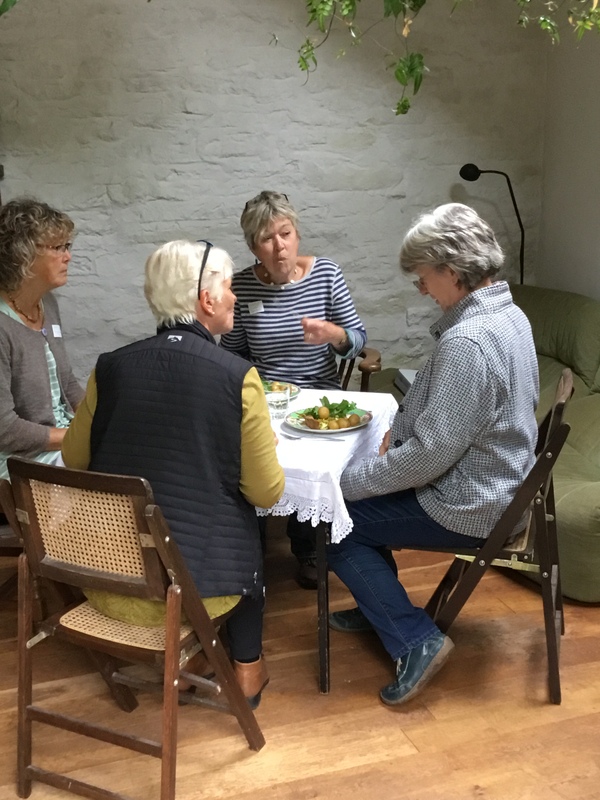 A bit more tea and a (futile) attempt to finish off the cakes and the assembled cast was given a sachet of QR Compost Activator to go home with – but only after they had visited the plant stall and bought a compost duvet or two. If you think this is for you, there’s another course booked on 27th June with a few places left and one pencilled in for September. Get in touch, now.